Feel free to email us if you would like to help facilitate a workshop but aren’t interested in submitting your own or if you’re interested in collaborating with others. Also if you are submitting a workshop proposal, please specify if you would like help facilitating, and please be as specific as possible about any accommodations etc. that you might need from us. You can also email us if you are interested in reading from your zine during the Zinefest! 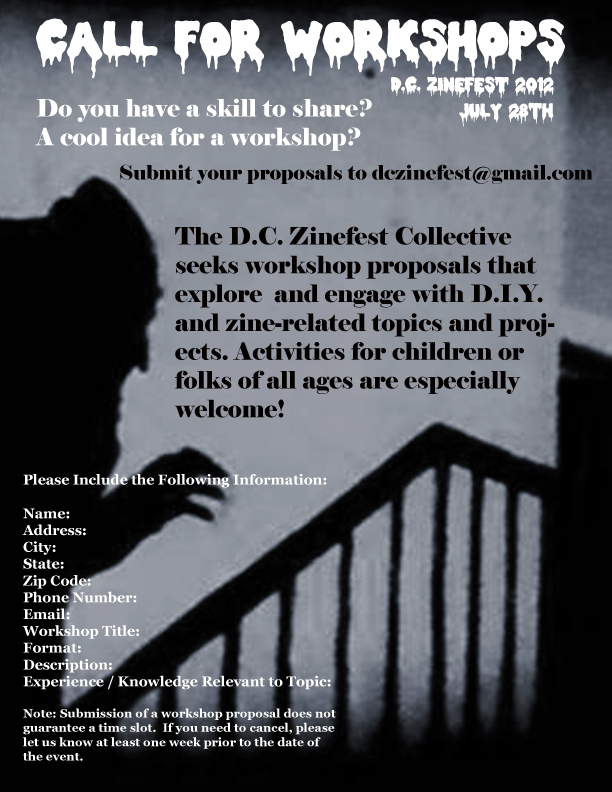 dczinefest@gmail.com is the perfect email for all of these emailing needs. ← Pop-up Zine Event at the Fridge Gallery!